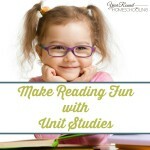 Unit studies provide amazing opportunities for homeschooling. They are great resources for homeschooling multiple ages, provide countless hands-on learning activities and are perfect for child led homeschooling! There are several unit study sites that have a wide range of unit studies covering many topics that your children would greatly enjoy. At times though it can be difficult to find specific literature based unit studies. The good news is that you don’t have to throw out your literature based unit study idea, you can simply create your own! Creating your own literature based unit study isn’t hard to do and having the knowledge of what your children enjoy doing and how they learn best are two great benefits to making your own! 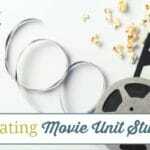 Getting started is the hardest part of anything, so I’m going to share a few tips to help you begin creating your own literature based unit studies! Select the literature you’d like to use and read it. 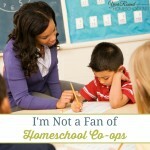 This is a great time to include your children in the homeschool planning process. 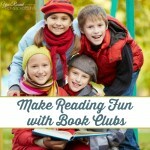 Allow them to share what literature they would enjoy reading and studying about in depth. If you’re homeschooling multiples and they can’t agree, have each of them write down their choice on a slip of paper and draw the order for your literature based unit studies from a hat. Decide what subjects and topics you’d like to cover through the unit study. If you’re going to continue using your math and english curriculum, you can leave those off if you’d like. Subjects that I recommend including are; geography, science, art, penmanship, writing, cooking, spelling, history and music. Find resources covering the subjects/topics you’d like to cover from the literature you selected. Pinterest is one of my favorite resources when creating my own unit studies. I honestly use it more as a search engine than I use Google. You can easily find art, penmanship and science homeschooling resources on Pinterest. Select other works of literature, video and audio resources to help teach the history, geography and music topics for your literature based unit study. Adding visual and auditory resources to your literature based unit studies helps learning come alive for your students. You Tube, Classics for Kids, the library and Usborne books are my favorite resources for this step! 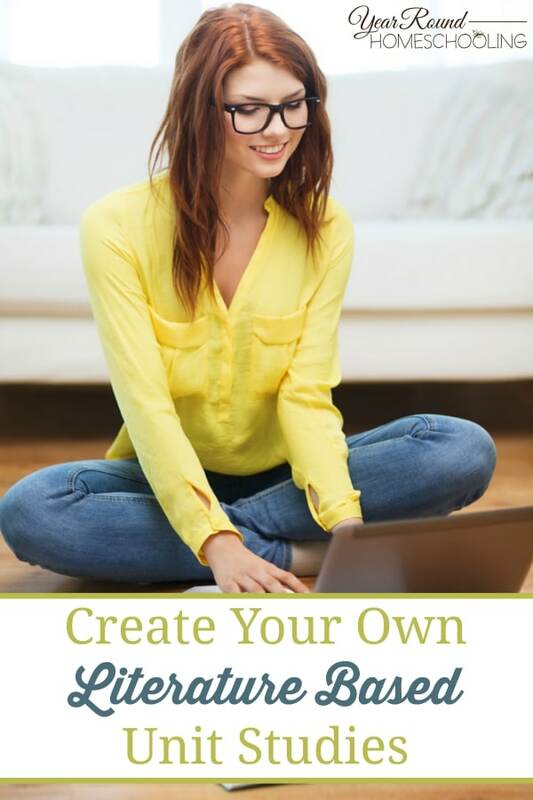 Create your own additional resources. If you’re unable to locate any necessary resources for your literature based unit study, you can easily create your own! Using Microsoft Word you can design your own penmanship or notebooking pages and with Pic Monkey you can create fun activity pages! Plan a loose schedule/outline for literature based unit study. Having all of your resources, activities and reading plan ready to go will help ensure that you cover everything you wanted to when you began the planning process. This is important because there are sure to be rabbit trails to follow and life to be lived throughout your literature based unit study and you don’t want to forget teaching any important or fun topics you planned out. Literature based unit studies provide opportunities to snuggle with your kids while you’re reading aloud and you’ll have fun while learning together! Ensure that you don’t stick to your plan/outline so tightly that you rush or fail to experience your homeschooling journey together! If your children love reading then literature based unit studies will help bring their favorite books (or new ones!) to life for them! If your children are not fans of reading then they will enjoy learning with the hands-on activities and additional resources you pull together. All children can enjoy and will benefit from literature based unit studies! Have you ever done a literature based unit study? If so, we’d love to hear any tips you have so please share them in the comments! I’m so glad that this post was helpful to you! Thank you for the invite! Blessings!